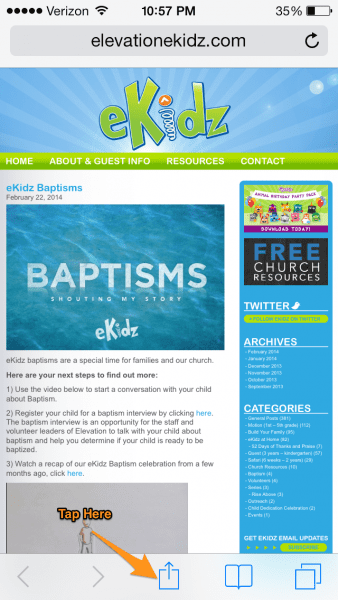 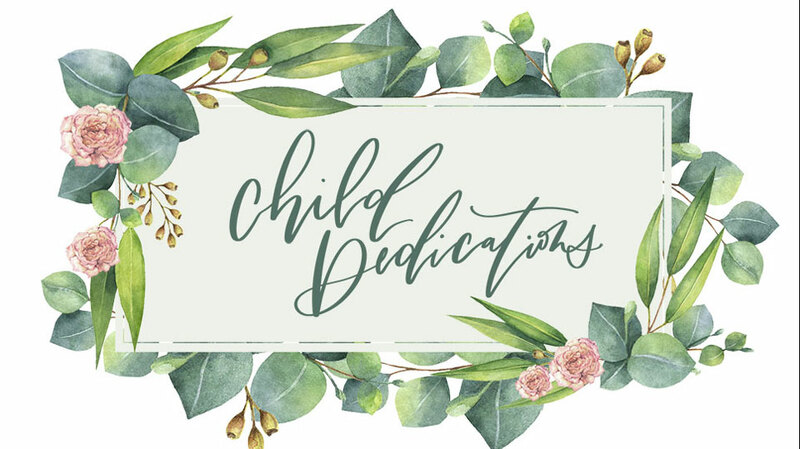 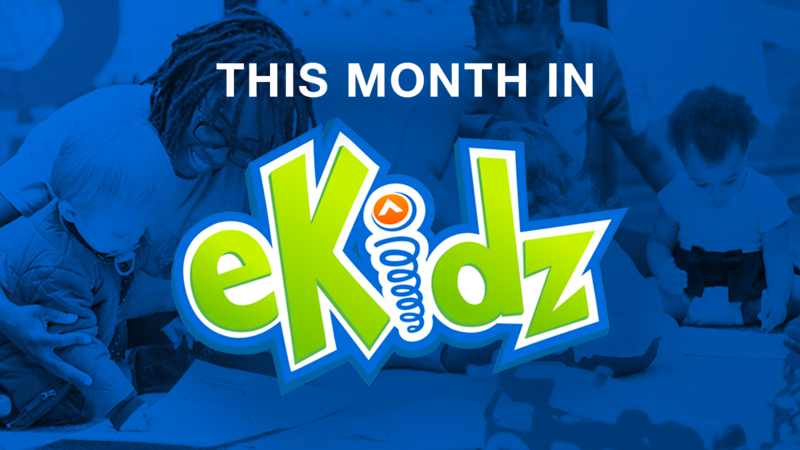 Here’s just one more way that you can stay connected with eKidz. Create an icon on the home screen of your iPhone & iPad to have easy access to videos, memory verses and more! 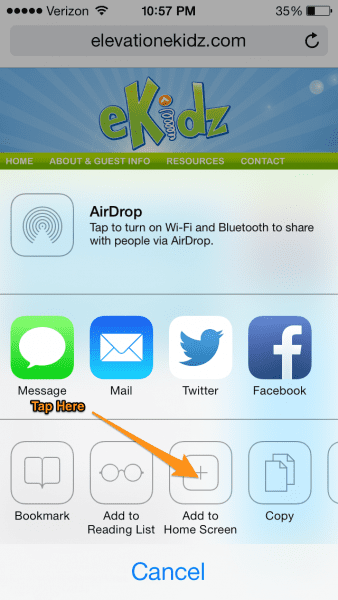 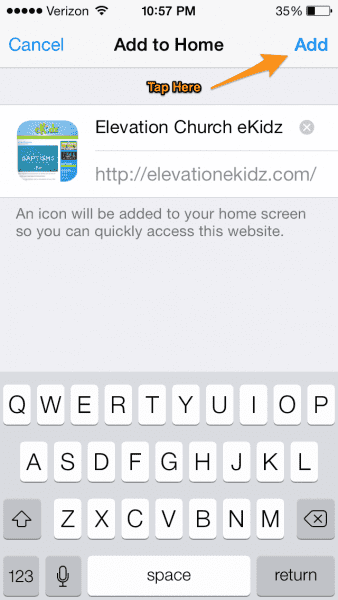 Step 1: Go to elevationekidz.com using your Safari browser and click the share browser located in the center at the bottom. Step 4: You’re done. There aren’t any more steps. 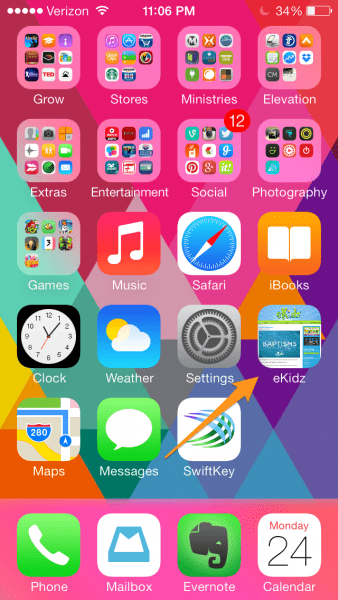 Now you have a shortcut to eKidz to use whenever you have free time!